Over the past decade, Agile methodology has emerged as the preferred mode for software development, replacing the traditional waterfall model. 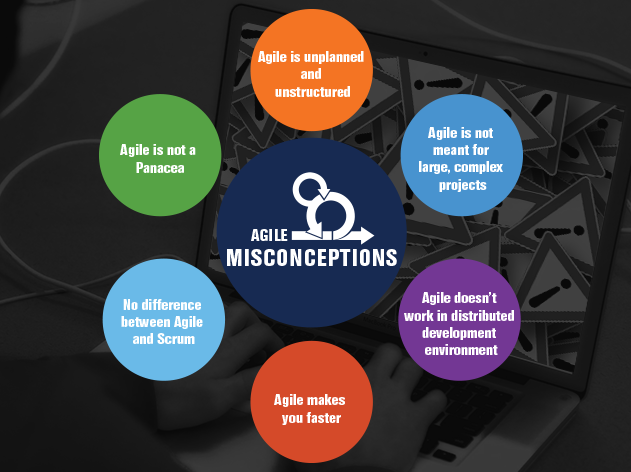 In spite of its popularity and success, there are some misconceptions about Agile development, that are believed by a surprisingly large number of software professionals and organizations. In this blog, we will examine some of the common misconceptions about Agile software development, and share our insights gained from years of extensive experience, and from a practitioners perspective. Fact – Successful Agile implementation requires substantial planning (multi-sprint, and intra-sprint) in terms of high level baselines, deliverables and release schedules, but at the same time leaves lots of scope for continuous, ongoing planning to facilitate change. In other words, the incremental and iterative nature of Agile development provides a flexible framework for project planning, and provides more room for handling change and uncertainty. Fact – Agile principles are used for both simple as well as large, complex software development projects with equal success. In fact many of the large enterprise class products, and solutions are developed using Agile framework. Using Agile development, large projects are broken down into smaller pieces, to facilitate iterative releases and incremental development through small self-contained scrum teams. Fact – Agile development based on self contained scrum teams, works equally well in a distributed environment. Modern communication and collaboration tools have successfully bridged the gap between remote teams. 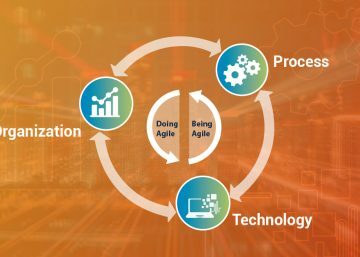 Agile methods supported by transparent communication, and the right tools and processes will enhance productivity, and deliver successful business value in a distributed environment. 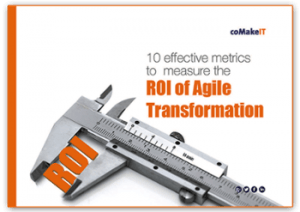 Fact – While adopting Agile development framework might not result in an immediate increase in your productivity, over a period of time, it certainly delivers reduced time-to-market. Adopting Agile framework and iterative development, allows you to test your hypothesis about market/functional requirements at an early stage, and facilitates change of scope to accommodate changing market and business dynamics. In other words, the adoption of this development framework will add a sustainable agility to your development process, and not an unsustainable burst of speed. Fact – Agile is a broad methodology of iterative and incremental development that facilitates rapid delivery. Scrum is a subset of Agile and is a lightweight process framework widely used in software industry. Scrum is distinguished from other Agile processes, by specific concepts and practices covering roles, artifacts, and time boxes. 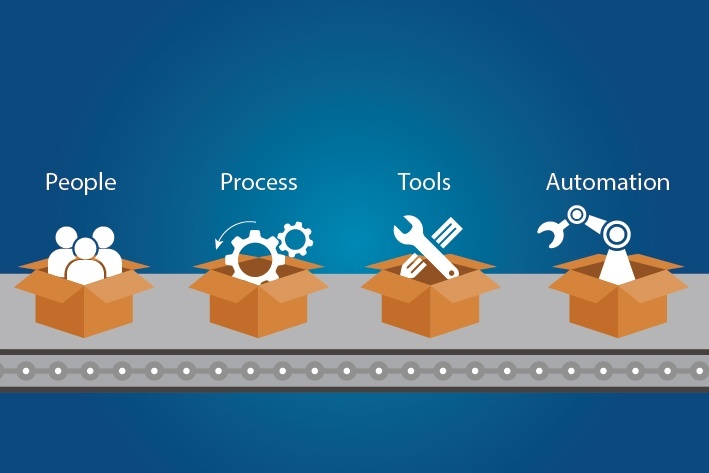 Roles such as Scrum Master and Product Owner, time boxes such as Sprints, and artifacts such as Product backlog are a critical part of Scrum process framework. Fact – While Agile methodology certainly offers substantial advantages in terms of facilitating rapid delivery of consistently high quality products and services, it is not a silver bullet. Agile is an ideal framework for building a new product, where substantial change of scope may occur at any point of the lifecycle. Please share your views about this blog or about Agile development in the comment box below. Download the ebook to know more about how you can build a Sprint team and plan your next Sprint meeting efficiently. March 5, 2018 January 23, 2019 |BY Subhajoy LaskarFunctional Programming: y = f(x) ! 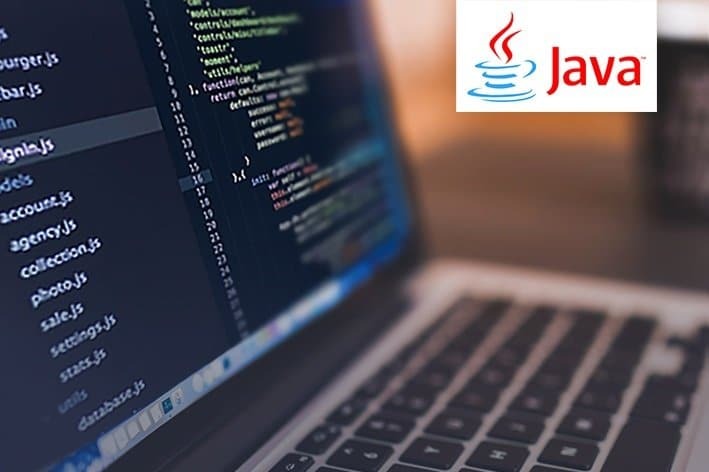 Where does Java stand ?